Home → Event → Ziyad al Harbi, Oudist & Friends- SULTAN QABOOS CULTURAL CENTER- SOLD OUT! Ziyad al Harbi, Oudist & Friends- SULTAN QABOOS CULTURAL CENTER- SOLD OUT! EMBASSY OF OMAN SULTANATE (NEW VENUE) SOLD OUT! Ziyad was also selected among many artists from Middle East to perform the lead vocal and Oud Solo for “Sahara Al Arab Song” part of Sony Music and Land Rover joint project called MYLAND, MYMUSIC which represents the cultural heartbeat of Arabia. This was composed by the well-known Lebanese Music Producer Jean Marie Riachi. This initiative captured the signature sounds of the region to honor this land, its people and its culture. 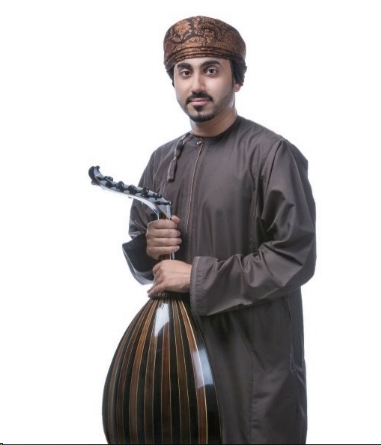 He was also the First Oud Player in the World who performs Oud in an Opera show called “THE OPERA” which is a new co-production by Royal Opera House Muscat and Palau de les Arts Reina Sofía Valencia. This was a new and an extraordinary operatic production that presented the history of this great art with Young singers from the Centre de Perfeccionament Placido Domingo sing wellknown arias of the great composers together with Oud Performance led by the well-known composer and conductor, Maestro Steven Mercurio. Nearby garage parking– $40/drinks/Middle Eastern Buffet.